The gymkhana legend reinvents the sport and gives it a new name – terrakhana. Just south of Factory Butte and west of Caineville lies a place called Swing Arm City in the Utah desert. It’s more than just a funny name though – it’s an ATV and OHV recreation area with naturally sculpted obstacles. It’s also where Ken Block decided to visit with his 600-horsepower Ford Fiesta ST RX43 race car for some off-road gymkhana racing. Granted, he had give the sport a new name – terrakhana. 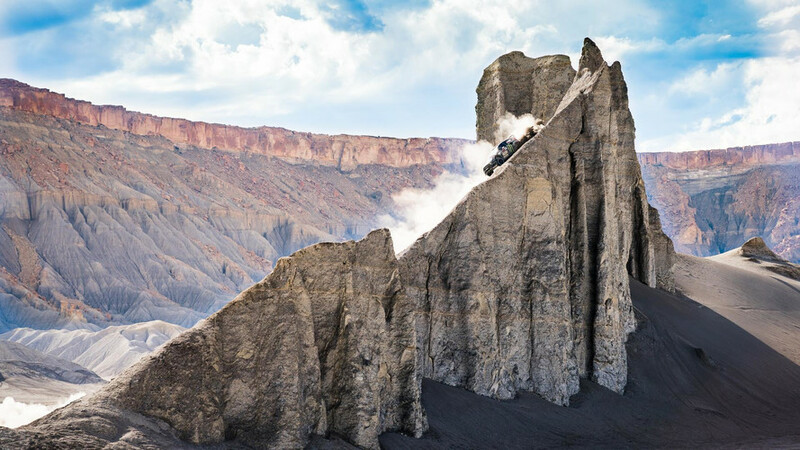 It doesn’t seem fair that we’ve been patiently waiting for the tenth installment in Ken Block’s viral Gymkhana video series while he’s been galavanting about in the Utah desert. Thankfully for us, though, he wasn’t taking a vacation. Block’s latest video does not fit in his Gymkhana canon, but it still brings all the excitement one would expect from his big-budget spectacles. Think of this as those stand-alone spinoff movies from a well-known franchise, except better. And dirtier. What’s cool is the use of the surrounding natural landscape for all the sweet slips, slide, and spins expected from a standard Gymkhana video.These are jumps and twists and turns built by wind and erosion, though Block does his own bit of sculpting with the plumes of dust spitting from his tires. Granted it is entertaining to watch his Fiesta ST RX43 do a very convincing Ford F-150 Raptor impression. The video is supposed to be an advertisement for Pennzoil and how its products can withstand punishment not only from the hot, dusty, and arid desert but from the likes of Ken Block as well. He’s not known for “taking it easy” on his race cars. At an elevation of 4,300 feet and with ambient temperatures just over 100 degrees, we can’t think of a better place to visit to put those fluids to the test. The Utah desert may not be on the top of your vacationing list, but with the right car, it does look quite fun. 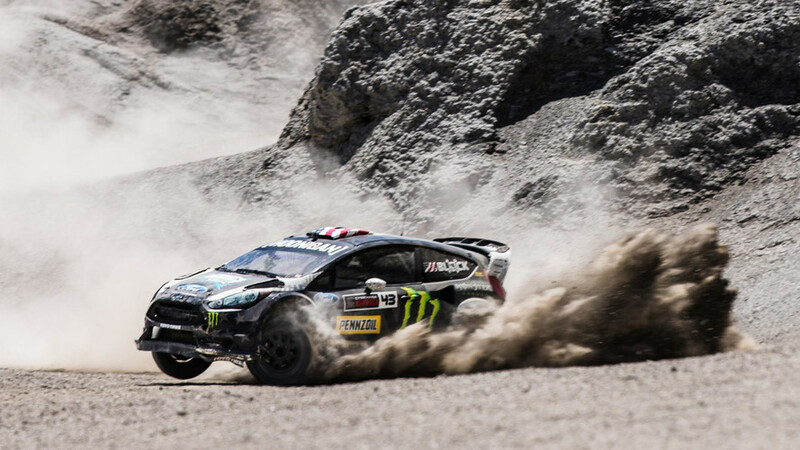 When the world is your playground, it does pay to be Ken Block.